A recent study by University of Hawai'i at Mānoa researchers revealed that Angiostrongylus cantonensis, the rat lungworm, is widespread in the Hawaiian Islands and its distribution may expand, especially towards higher elevations, as the climate warms. Rat lungworm is a parasitic nematode with a complicated lifecycle, part of which requires living inside snails and slugs. Human infection by this parasite, known as angiostrongyliasis, is considered an emerging infectious disease. The range and incidence of this disease are expanding throughout the tropics and subtropics, including in the Hawaiian Islands, making this work especially timely. Using molecular techniques to screen almost 1300 snails and slugs representing 37 species from almost 200 sites across the Hawaiian Islands, the team determined rat lungworm was present in numerous species of snails and slugs on five of the six largest islands (it may be present on all islands but just not detected). Further, rat lungworm tended to occur in warmer and rainier locations, generally, but not exclusively, windward. Knowledge of where rat lungworm is or could be across the Hawaiian Islands, right now, is important from the perspective of prevention of human and animal infection. "Local residents and visitors need to know what the risks are," said Robert Cowie, senior author on the study and research professor at the UH Mānoa Pacific Biosciences Research Center in the School of Ocean and Earth Science and Technology (SOEST). "The data will be important to the State of Hawai'i Department of Health in targeting epidemiological surveys and interventions. But it is important to remember that it is not possible to say that rat lungworm is absent from locations where we did not detect it. 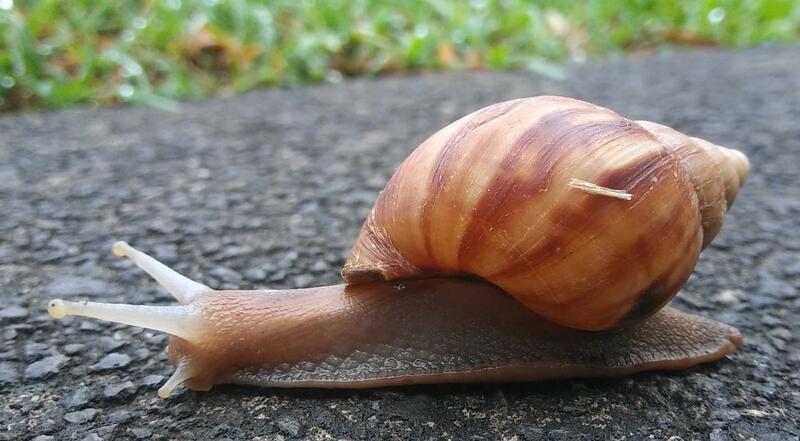 One can never do a totally comprehensive survey of all snails present in Hawai'i and so people must not be complacent and assume, for instance, that based on this study rat lungworm is not in their yards." By assessing factors affecting the parasite's distribution, the study projected its potential future distribution in Hawai'i, with implications for its global expansion. The team developed mathematical models that allowed a prediction of the likely areas across the islands where rat lungworm could occur, if it is not there already, and projected its distribution based on anticipated climate conditions in the year 2100. Under these future climate conditions, rat lungworm was predicted to expand its range to higher elevations in Hawai'i. The findings imply that the parasite could also expand its primarily tropical and subtropical range globally to regions that are currently more temperate. "From a global perspective, the knowledge of where rat lungworm is or could be present currently, combined with our projections of its future potential distribution have implications for the future spread of rat lungworm disease globally," said Cowie. "Rat lungworm disease has been considered globally as a neglected but emerging infectious disease." Added Jaynee Kim, lead author on the study as a UH graduate student and now a malacology researcher at Bishop Museum, "A major motivation for my research was to help people to make informed decisions. We encourage the public to buy local and support Hawai?i's economy but, at the same time, to be vigilant about washing produce, especially to inspect and wash greens leaf by leaf. Buying and planting native plants instead of non-native plants can also help keep invasive snail hosts from being introduced and spread throughout the islands."